If you saw what I eat for breakfast every day, you would be so bored. Don’t get me wrong, I absolutely love my daily eggs & avocado, but lately I’ve been trying to switch things up just because I think change is good every once in awhile. Especially if that change means another excuse to smother things in peaches. This one is inspired by all of those beautiful breakfast bowls of oatmeal that I see all over the internet. You know the ones – they’re chock full of colorful fruit and other various superfoods. They’re so pretty that they make me wish I liked oatmeal… so finally I had this idea to make a sweet non-oat quinoa bowl for breakfast. To your spiced quinoa, add whatever seasonal or dried fruits you like. Obviously, peaches are my thing right now, the raspberries are for Jack because they’re his favorite. For crunch, I topped these with toasted almonds and coconut flakes. Place it in a small saucepan and add the almond milk, 1-2 cinnamon sticks, and a pinch of salt. 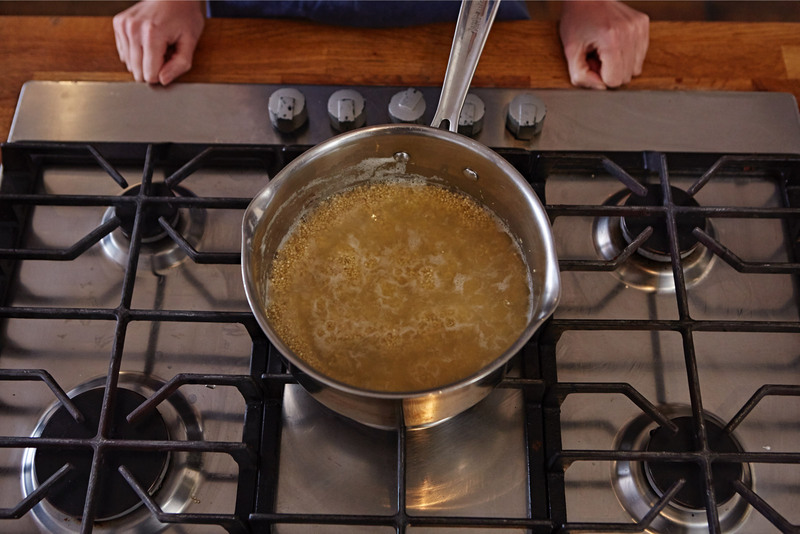 Bring to a high simmer, cover and reduce heat to a low simmer for 15 minutes. (Tip: don’t walk away, if it starts bubbling, turn the heat off, give it one stir mid-cook if you need to, and resume). 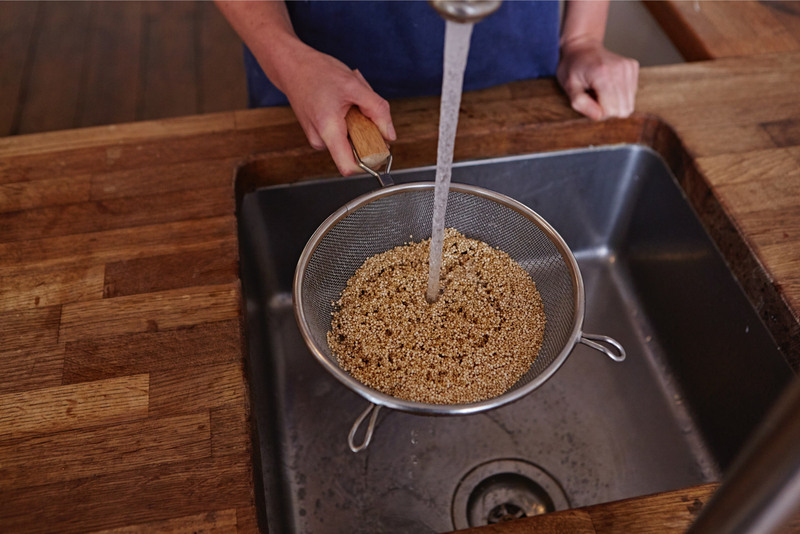 – cooked quinoa can be stored in the fridge for 4-5 days. Serve at room temp or heat it as you’re ready to serve. If it’s dry, add a few more splashes of almond milk. – sub in whatever seasonal fruit you like, dried fruits are also delicious here. 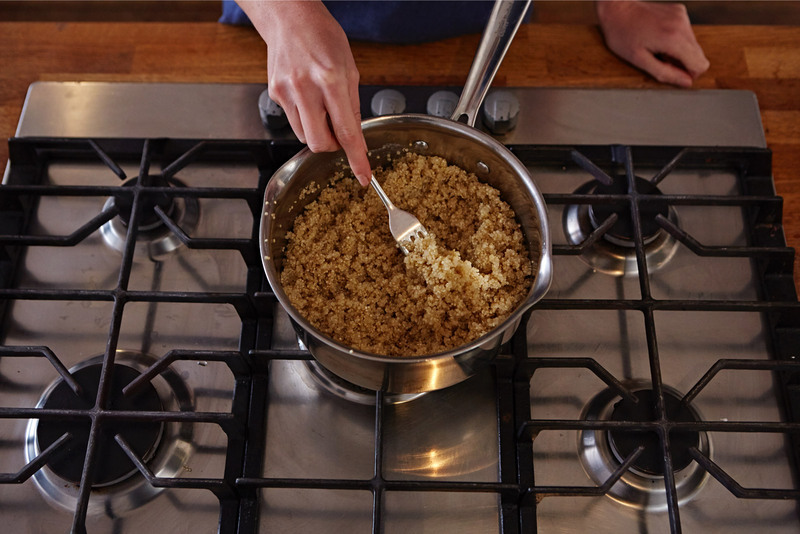 Quinoa is a brilliant, tasty sub grain, packed with both protein and fibre – and it’s also gluten-free. Dress simply while still hot with lime or lemon juice, extra virgin olive oil and a little sea salt and black pepper, and you’ve got the foundations for a delicious meal. 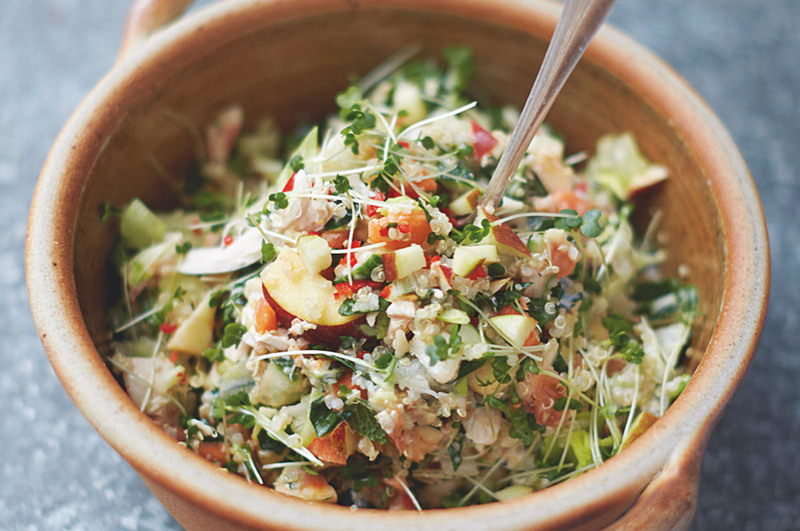 Nutty and fluffy, it’s a great alternative to rice, served with chicken or fish, or livened up with simple, fresh ingredients to make a satisfying salad. 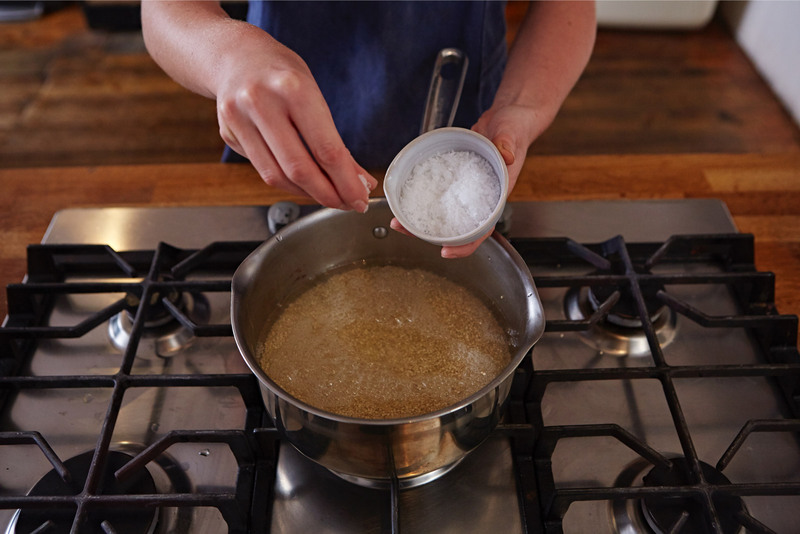 But with so many different grains out there, each with their own cooking method, it can be confusing to know how to cook each one properly for ultimate flavor and texture. Never fear, we’ve got quinoa covered! Follow our easy step-by-step guide below, then check out this quinoa, feta & broad bean salad recipe to turn it into a delicious lunch. You might have some leftovers? …… Cold, leftover quinoa is a brilliant filler in nut roasts or veggie burgers, too.